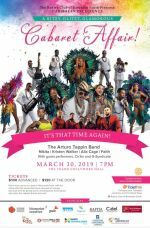 The Rotary Club of Barbados South presents Caribbean Excellence - Cabaret Affair. 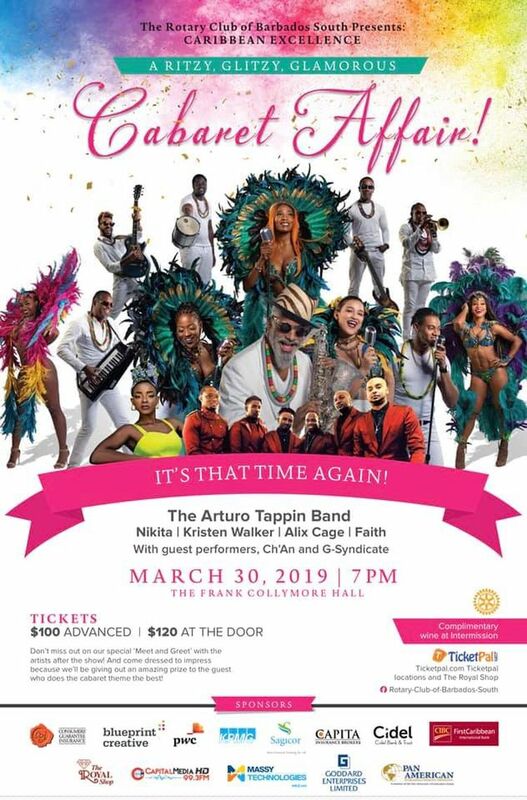 It's going to be a Ritzy, Glitzy and absolutely Glamourous Affair! Along with Ch'an with the G-Syndicate. Enjoy a fantastic, star-studded event and a special 'Meet and Greet' with the artist after the show. Evening includes complimentary wine at intermission. Come dressed to impress. Prize to be won by the guest who does the cabaret theme best.